Labels come unattached - some assembly required. All personalized products are a final sale. We recommend you order some extra favours to cover all contingencies as we cannot send replacements on this product - we can only issue credit. Please note that due to the personalized nature of this product that these items are all final sale. 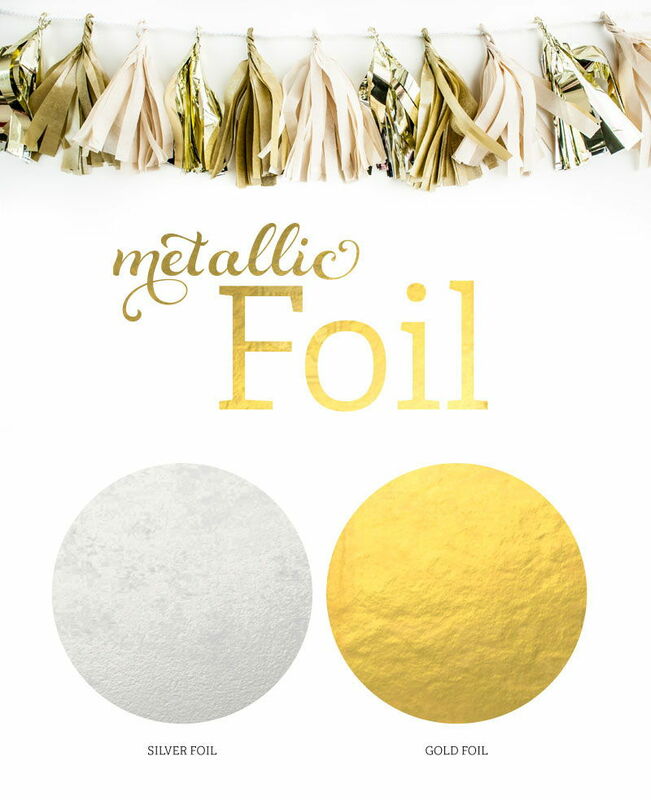 Add a little sparkle and shine to your party favors and decorations with these Metallic Gold & Silver Foil Wedding Personalized Frame Labels for a memorable keepsake that are sure to leave a lasting impression. 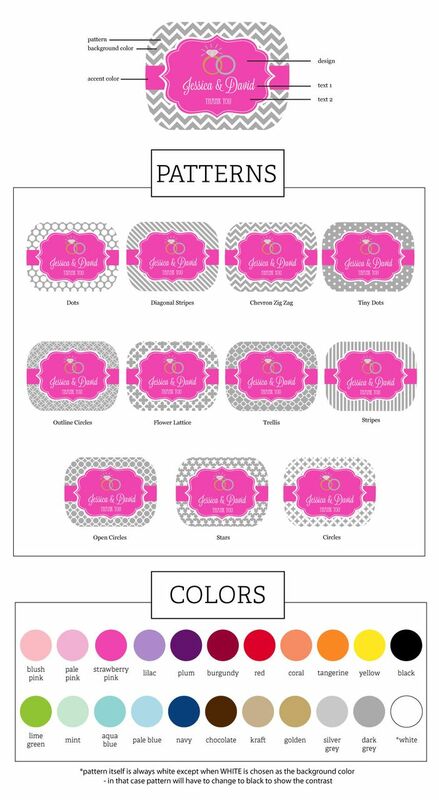 Each shiny metallic label includes two lines of personalized text and your choice of one of our fun designs to match your special event. From favor boxes to lollipops, these eye-catching frame shaped labels can be placed on almost any item of your choice.